Fabio Bonizzoni, one of the leading Italian harpsichordists and organists of his generation, graduated in organ, organ composition and harpsichord at the Royal Conservatorium in The Hague in Ton Koopman’s class. After having played for several years with some of the most important orchestras specializing in early music (Amsterdam Baroque, Le Concert des Nations, Europa Galante), from 2004 he exclusively devotes himself to his activities as soloist and director, in particular of his own orchestra “La Risonanza”. 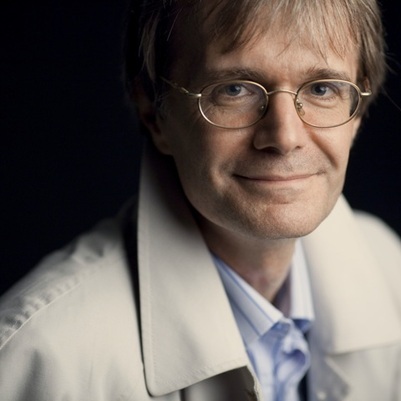 Furthermore, he is harpsichord professor at the Royal Conservatory of The Hague (Holland) and in Italy at the Conservatory of Novara; he is founder and president of the “Associazione Hendel”, a society devoted to the studies of Handel’s music in Italy. As a soloist he has been recording for many years for the Spanish label Glossa. His discography includes works by Claudio Merulo, Giovanni Salvatore, Giovanni Picchi, Francesco Geminiani, Bernardo Storace, Domenico Scarlatti and Johann Sebastian Bach (Goldberg Variations and the Art of Fugue). His last release as a soloist is devoted to the two books of toccatas by Girolamo Frescobaldi. In 2010 he has completed with La Risonanza the project of recording the complete Italian Cantatas with instruments by G.F. Handel: this project has been defined by Gramophone magazine the most important of the decade, and 3 of the 7 CDs have been awarded the prestigious Handel Stanley Sadie Prize. The last disc issued, « Apollo e Dafne », is winner of a Gramphone Award in 2011. His activity is also enriched by some commitments as guest conductor; in particular in April 2011 he conducted the orchestra of Teatro alla Scala in Milano in the new ballet “L’altro Casanova”.